Transparent GMU filed a lawsuit against Mason and the George Mason University Foundation Feb. 9, according to a press release from the organization, a lawsuit that is still ongoing. Transparent GMU is a student organization that aims to shed light on the potential undue influence of Mason donors, according to their Facebook page. In accordance with their mission, they filed the lawsuit so that Mason would comply with a Freedom of Information Act (FOIA) request to disclose a series of public records about donor agreements related to the Koch brothers. The lawsuit transpired after Transparent GMU filed separate FOIA requests with the university and the foundation asking for donation records, which both institutions denied. However, these were not the first FOIA requests Transparent GMU has filed. Although Transparent GMU was not formed till 2016 according to the lawsuit, its members “requested documents of private donations to the university’s foundation back in 2014 after learning of donations made to Florida State University by the Charles Koch Charitable Foundation,” according to a Feb. 10 Student Press Law Center article. 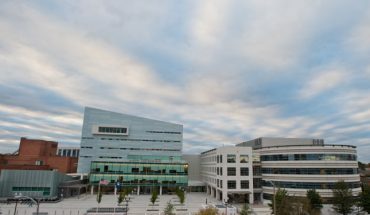 According to an Associated Press article from April 2016, Mason is one of the universities that receives the highest donation amount from the Charles Koch Foundation, having received $48 million between 2011 and 2014. The article added that no other university received more than $1 million in that time period from the foundation. Sophomore Gus Thomson, a member of Transparent GMU, also acknowledged that funding for public universities has dwindled, which he believes leads universities like Mason to take money where they can get it, regardless of who’s giving it. “Since we have seen public support for institutions drop, institutions begin to look for private money and sometimes that comes at too great of a cost where we could start to lose our academic integrity and independence… that is just not a trade-off I think we want to make,” sophomore Gus Thomson, a member of Transparent GMU, said. In the events that led to the lawsuit, Transparent GMU filed a FOIA request Jan. 9, 2017, that sought the disclosure of any records (including grants, cooperative agreements, gift agreements, contracts or memoranda of understanding) from 2008 to 2012 pertaining to contributions made to the university from a number of entities related to the Koch brothers, according to the lawsuit. On Jan. 12, the university responded via Elizabeth Woodley, the FOIA compliance officer for Mason, that they were not in possession of such records that apply to the request, according to the lawsuit. Transparent GMU then asked Woodley if the George Mason University Foundation, which assists the university in generating private support and to manage, invest and administer private gifts according to their website, would provide records in response to the FOIA request. Transparent GMU then received confirmation from Woodley the following day that the university’s response would not include records in possession of the George Mason University Foundation, as it is a separate entity from the university. On Jan. 17, Transparent GMU then filed a FOIA request with the foundation. On Jan. 31, Janet Bingham, president of the George Mason University Foundation and vice president of Mason’s Office of University Advancement & Alumni Relations, responded to the FOIA request stating that the foundation is a separate, “private corporation, a 501(c) 3 charitable organization,” and is thus not subject to FOIA according to the lawsuit. In response, Transparent GMU filed their lawsuit. They and their legal council, Evan Johns, a lawyer with the non-profit law and policy center Appalachian Mountain Advocates, claim that due to the foundation’s close relationship with Mason, the Foundation is considered a public body and, subsequently, must comply with FOIA requests. The lawsuit cites a number of connections between the foundation and Mason to support Transparent GMU’s claim, utilizing the following sources as exhibits: the Foundation’s Articles of Incorporation which state that the foundation exists to help the university, the Foundation’s Bylaws which state the foundation’s president will be selected by the university president, the Affiliation Agreement between the two parties, Mason’s Gift Acceptance Policy and the Space Usage Agreement between the two parties. 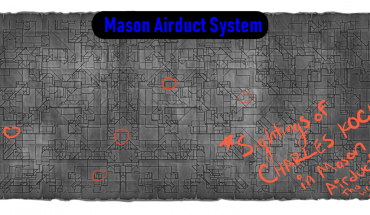 Additionally, the foundation is partly funded by a fee it enacts on gifts it accepts on Mason’s behalf and is considered a “component unit” of the university due to their “close relationship,” according to the annual unaudited financial statements for Fiscal Year 2016 released by Mason. “FOIA’s definition of a ‘public body’ includes certain private entities – specifically entities that perform delegated functions on behalf of state agencies (like public universities) and entities that are supported by public funds…The foundation meets both of these definitions of a ‘public body,” Johns said via email. According to the lawsuit, Mason denied having records for the foundation that fall under the FOIA request because the foundation is a separate entity, but Johns says the university is still legally the custodian of the foundations record. “FOIA ensures access to all ‘public records,’ including records about fundraising for a public university (minus any extremely sensitive personal information, which can be redacted). Even if a public university does not have physical custody of records related to fundraising performed on its behalf, FOIA still considers the university to be the ‘legal custodian’ of those records. As such, it needs to retrieve those records from its foundation in response to a FOIA request,” Johns said. Part of Transparent GMU’s desire for these records is to see if the Koch Foundation has any influence over Mason, having given donations. “Since at Florida State the Koch’s gave $4 million dollars, and Charles Koch got pretty substantial direct control over what he was doing there, it kind of begs the question, ‘Well, what’s going on here?” Thomson said. On the other side, Sandler insists that Mason is not controlled by those who provide donations. “We maintain full control over our curriculum, faculty and all other aspects of academic freedom,” Sandler said. Transparent GMU President Janine Gaspari remains unconvinced, however. The Koch brothers want to “…construct scholars that are going to work for their benefit and promote their agenda,” Gaspari said. At Mason, contributions from the Koch brothers primarily funds endeavors within the field of Economics, according to an October 2015 article on Al Jazeera America. One such entity the article said gets funds from the Koch Foundation is the Mercatus Center. The center is housed on Mason’s Arlington campus and conducts economic research, although it is a separate entity from the university. Another institute the Al Jazeera America article said gets funds from the Koch Foundation is the Institute for Humane Studies, also housed on Mason’s Arlington campus. The IHS is a separate “education and talent-development organization,” according to their website. The IHS provides educational seminars for college students, helps connect them with career opportunities and awards scholarships among other services. 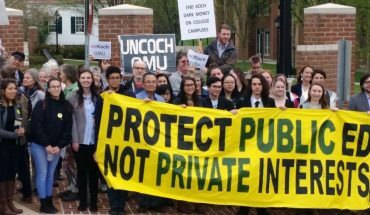 On Change.org, Transparent GMU has created a petition urging the university to comply with the FOIA requests made and make donor agreements public. Thus far it has received 386 signatures. “Education shouldn’t be bought and sold,” Gaspari said. Nina is a senior pursuing her B.S. in Conflict Analysis and Resolution (International Conflict concentration) with a minor in Psychology. She is also the Editor-in-Chief of Mason's only undergraduate research journal, The George Mason Review.